Earn $87.50 in Reward points. We know you're gonna love it. 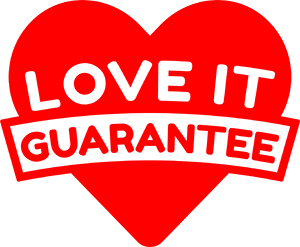 We promise you'll love it or your money back. Get the bike of your dreams with our Trade Up program. Shipping not available on Giant bikes. Take to the trail with a new level of confidence. With its combination of grippy, rock-eating, plus-sized tires and smooth-riding suspension, the all-new Stance gives you more traction, more control and more fun. Built with a lightweight ALUXX aluminum frameset and our innovative FlexPoint rear suspension, Stance is the perfect way to improve your trail-riding game. Its new 27.5+ wheel and tire compatibility gives it a plush ride quality that soaks up bumps and adds more traction and stability. Combined with 120mm of smooth suspension travel front and rear, it’s a confident ride that will have you nailing new lines. 27.5+ wheel and tire compatibility offers option for more added confidence and control on the trail. FlexPoint rear suspension offers 120mm of travel (plus 120mm fork up front) for smooth-riding confidence on climbs and descents. The lightweight, stiff and durable ALUXX SL aluminum is hand-built and engineered in-house by the world leader in alloy bicycle technology.